Events in Hampshire in June, what a lovely time of the year to be out and about in this beautiful county. The rolling downs, the New Forest, pretty villages strung out along river valleys, Portsmouth, Southampton, pretty Lymington and of course Winchester. Celebrate the Roses in June. 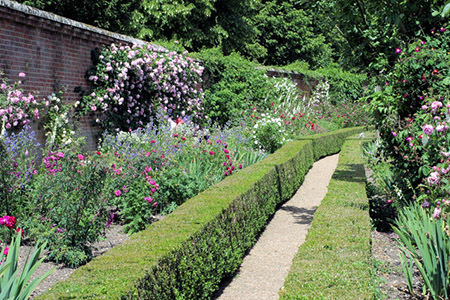 Mottisfont Abbey is a National Trust Property with a Rose Garden that is one of 6 in the Rose Garden Hall of Fame. Celebrate these beautiful fragrant flowers, they are at their best now. Tadley Treacle Fair 2nd June 2019. Tadley. The Garden Show 7th to 9th June 2019 at Stanstead Park, Rowlands Castle. Waterlooville Music Festival will be held between 8th to 16th June 2019. Something for everyone. Have a look! Basingstoke Festival 21st June to 7th July 2019. A very young arts festival showcasing Basingstoke with various venues. Jane Austen Regency Week 22nd to 30th June 2019. One of Hampshire's iconic writers. Chawton and Alton are celebrating with a Regency Week. 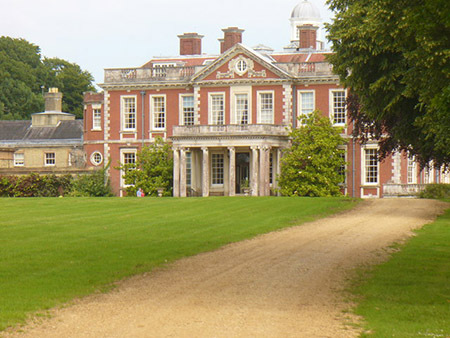 Rowlands Castle is in the south east of the county on the Sussex border. A very pleasant place with a large village green. Stanstead Park stands four square in its beautiful grounds. Open to the public and worth a visit in its own right. Mottisfont in the magical Test Valley is home to Mottisfont Abbey owned by The National Trust. The village is not far from Romsey. The Abbey is well worth a visit at any time of the year. Great for the roses in the summer, but the Spring bulbs can rival it! Tadley is a small town in the north of Hampshire. The Treacle Fair is named after a legend of the 1800's that there were "treacle mines" in the area! A joke to test the gullible!! The Royal Marines Museum is located at Eastney Barracks on the seafront in Southsea. It will be an interesting venue for the Antiques Road Show. The Museum is worth a visit, especially for family historians with ancestors in the Royal Marines. The Museum houses an extensive collection of medals as well. Hillier Gardens is on the fringes of Romsey. Open all year - yes even in winter. There is a garden centre. Fun for the children and guided and self guided tours available. Romsey is an attractive town and great as a centre for touring the pretty Test Valley. Waterlooville, a developing town, is in the south of the county, not far from Portsmouth. It is said that the town got its name from a legend that soldiers from the Battle of Waterloo stopped there. Vernham Dean is a little village on the Wiltshire and Berkshire borders. Village of the Year in 2012!!!!!! It is in an area of Outstanding Natural Beauty and that area deserves the title - The North Wessex Downs, rolling chalk hills and valleys. Gosport - on the other side of Portsmouth Harbour. A ferry crosses the Harbour so it is easy to get from one place to the other. Being on the Harbour it too had its place in Naval History. Nowadays a pleasant bustling town. Winchester Cathedral One of the most famous Cathedrals in the world. A stately iconic edifice it dominates the city. If walls could talk, their tale would be of people and events that shaped the history of England. Its grey walls will be a magnificent backdrop to the fantastic Symphony of Flowers.